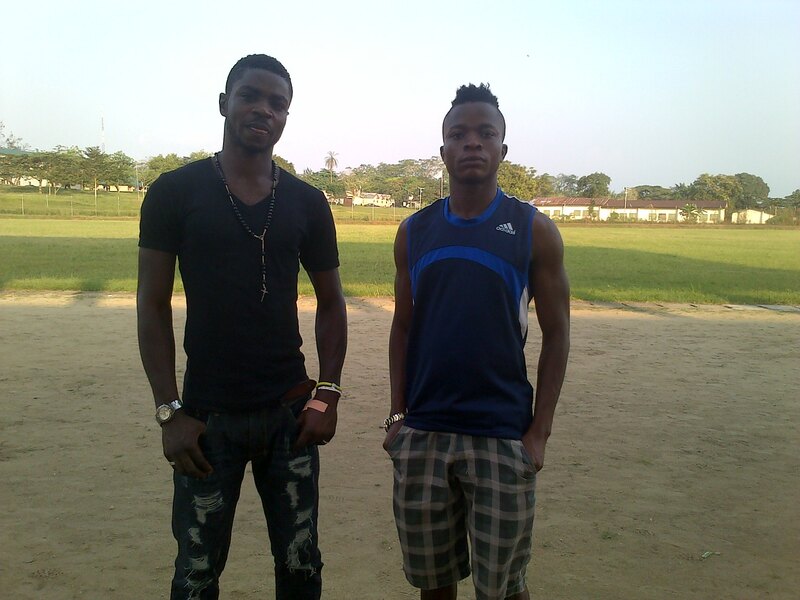 234football caught up with Unicem Rovers’ defender, Benedict Okotu recently in calabar. In the interview, the centreback told 234football that he is looking forward to moving to a new club following the relegation of Rovers. 234football: Please can we know you ? Okotu: My name is Okotu, Benedict Hilary. I am from Bunyia-irun, in Boki local government area of Cross River State. 234football: What about your family ? Okotu: I come from a family of seven – three females and four males, and I’m the third male child. 234football: Where did you start your career ? Okotu: I started playing for amateur clubs – Young Planners and Future Hope in Anambra State. I then move to Asaba, Delta State where I played for United Brothers football club. 234football: Speaking of League football where did you start ? Okotu: I performed well for United Brothers against a Delta-based NNL club, Delta Force in one of the FA Cup fixtures, and after the match, I was invited for a screening and luckily I was signed in the 2010/2011 season. Delta Force was my first league side and they were playing in the NNL. They later got disbanded after their first season in 2010/2011, with Delta State Government choosing to channel their lean resources to NPFL side Warri Wolves and Delta Queens. I later left for Bendel Insurance of Benin in 2011/2012 season and from there I joined Unicem Rovers. 234football: How did your move to Rovers come about ? that I should report for a trial, which I did. In camp I impressed a lot and earned a contract. In the 2012/13 season, I featured for Rovers in all but two games – one of which was away to Gateway United. 234football: As a centreback, who has been your best partner ? Okotu: While at Delta Force my best defence partner was Seun Alere. During my first season with Unicem Rovers, Patrick Abang was my prefered partner. 234football: Who has been the toughest Opponent you’ve played against ? Okotu: I did not really see a tough player in the recently concluded season. But in 2012/13 season there was this Rising Stars attacker by name Azeez Yakubu that was fast and tricky. 234football: Which team was your strongest opponent last season ? 234football: Rovers got relegated to Nationwide Division one. What would you say were the reason for this ? Okotu: I think the change of management during the season brought in instability and that negatively affected the club. Lack of funds was another major problem. We had financial problems and that’s the reason we couldn’t honour our last game of the season. 234football: What are your plans for next season ? Would you stay on with Rovers ? Okotu: Having been made the captain [of Rovers] I promised the commissioner of sports that we would gain promotion to the NPFL. Unfortunately we didn’t achieve that. Every player aspires to go forward. My aspiration is to play at a higher level. Again I wish Rovers regains promotion back to NNL. 234football: Have you received any offers ? 234football: There is a general impression that Nigerian footballers are promiscuos. Do you share this opinion ? Okotu: Thank you so much.